Measurements -7 7/16" x 5 1/4"
These A7 Clear Plastic Envelopes fit greeting cards, invitations, and much more. The clear plastic envelope bags are designed to fit a single card and envelope, but can accompany up to 2 cards and envelopes. Clear Plastic Envelope bags can be used as a package for your cards or as a protective sleeve. Whichever way you use these plastic envelopes, they do the job! A7 Clear Plastic Envelopes measure 7 7/16" x 5 1/4" when sealed. 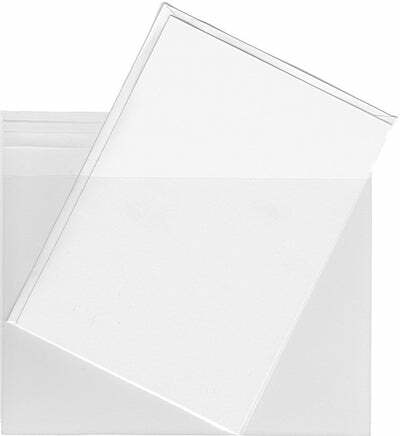 These transparent envelopes are made to fit cards up to 7 1/4" x 5 1/4". Each Clear Plastic Envelope features an adhesive to seal the envelope.